Quick Note: Ashton O’Hara was using masculine pronouns (he/him) at the time of his death. This does not negate his genderfluid identity. This last entry has me smiling through tears a little bit. It sounds like Ashton O’Hara was a real card. He loved kids. Dancing. Performance. He taught himself how to braid hair at the age of four. His mother loved him, dearly. And like so many of us, despite the light he brought to others, he seemed to stumble on questions of his own self-worth, to struggle with love for himself. Ashton O’Hara, aged 25, was found dead in a Detroit field in July 2015. 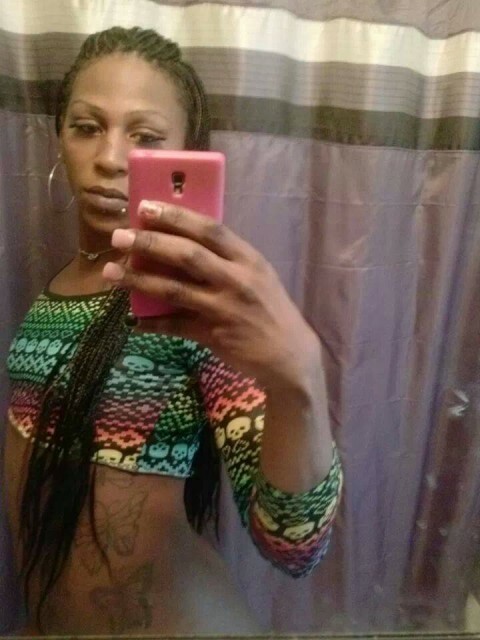 He was the second trans person from Detroit to be killed in 2015, and at least the fourteenth murderÂ of a trans person in the United States this year. Of those fourteen murders, twelve were trans people of colour. I chose to end with this story because, unlike the six others I picked more or less at random for TDOR this year, there is a hopeful follow-up. 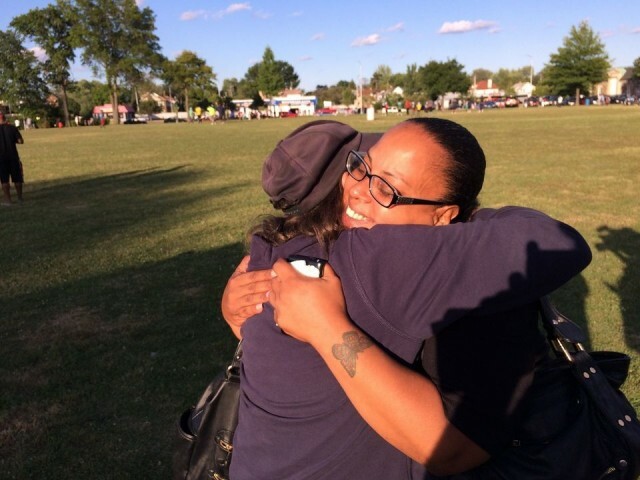 Ashton’s mother, despite the incredible grief she herself must have felt, chose to organize a public vigil for AshtonÂ and has been incredibly visible in the media and in relations with the local Detroit police following Ashton’s death. Rebecca O’Hara, Ashton’s mother, receives a hug from a supporter. Photo via Autostraddle. A lot of LGBTQ people have good reason to be uneasy around police. A 2012 studyÂ by the National Coalition of Anti-Violence Programs found that transgender people across the U.S. experience three times as much police violence as non-transgender individuals. Those numbers are even higher for transgender people of color. Even when transgender people were the victims of hate crimes, 48 percent reported receiving mistreatment from the police when they went for help. But after Ashton O’Hara’s death, Detroit police are trying to do better. Rebecca O’Hara has publically praised police for specifically clarifying Ashton’s pronouns and doing their best to ensure Ashton’s killer is brought to justice. (The primary suspect in the killing has since been charged with first degree murder). In August, almost one month to the day after Ashton’s death, police met with LGBTQ organizers in a Detroit park, a known area of violence against LGBT people, and the location of the death of Amber Monroe, Detroit’s other transgender murder of 2015. “I know that there are many more than that, because I also know there are many that won’t report crimes in the LGBT community… We want to change that. We know that the streets talk, and we’re only going to get information if we have relationships… Â As you heard tonight, many members from the community don’t always feel comfortable reporting crimes. * Author’s note: it was brought to my attention this week that the “Official” TDOR website has some issues, so all of my links this week to a TDOR list have been retroactively changed to this list. I invite you to lookÂ there instead.